All African Travel tours, river cruises, expedition cruises, and adventure trips. Find the best guided trips and expert planned vacation and holiday packages. 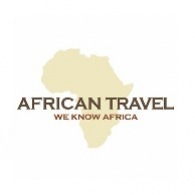 Average rating of 5.0 for all African Travel trips. Explore the grand Masai Mara, a UNESCO World Heritage Site and Kenya’s top wildlife destination. Discover the pristine wildlife viewing and Kenya's only chimpanzee sanctuary at private Sweetwaters and the Ol Pejeta Conservancy. Enjoy fantastic wildlife viewing around the busy waterhole at your Mount Kenya tree lodge.